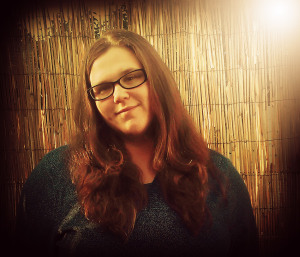 Please welcome Kelly Samarah, who chose the word she wanted for her interview. Try and find the reason! Molalla, Oregon, a little logging town nestled in the foothills of the Cascade Range and just a hop away from the Mt. Hood National Forest. I grew up here, moved to Salem, Oregon for ten years, and just came back a little over a year ago. It’s still small and close-knit. Hhhmmm, I always hate this question. I write. I lean toward the horrific side of the spectrum, but not always. I have several ideas and story lines brewing from all over the board. I always have been a writer. Reading and writing go hand in hand. I am a lover of books. No, let me rephrase that. I am in love with books. In kindergarten I was reading chapter books and getting in trouble for skipping ahead in our reader books. In second grade my teacher made me read all of my short stories aloud in class. Same thing in fourth grade. In junior high I tried my hand at poetry, and discovered I am not a poet. Fast forward to a couple years ago: Life had chewed me up and spit me out. I found myself a single mom, very little money and no future. Writing had been on the back burner for a long time. I decided to go back to school-for Criminal Justice of all things-and took a writing class as an elective. My teacher told me I was cheating myself if I didn’t focus on my love for the craft. I took his words to heart. How do you explain the feeling when you have finally come back to what you were meant to do? Complete? Not a strong enough word, I think. Maybe it’s unexplainable. Stories and/or book you have released right now? My novel and a short story. 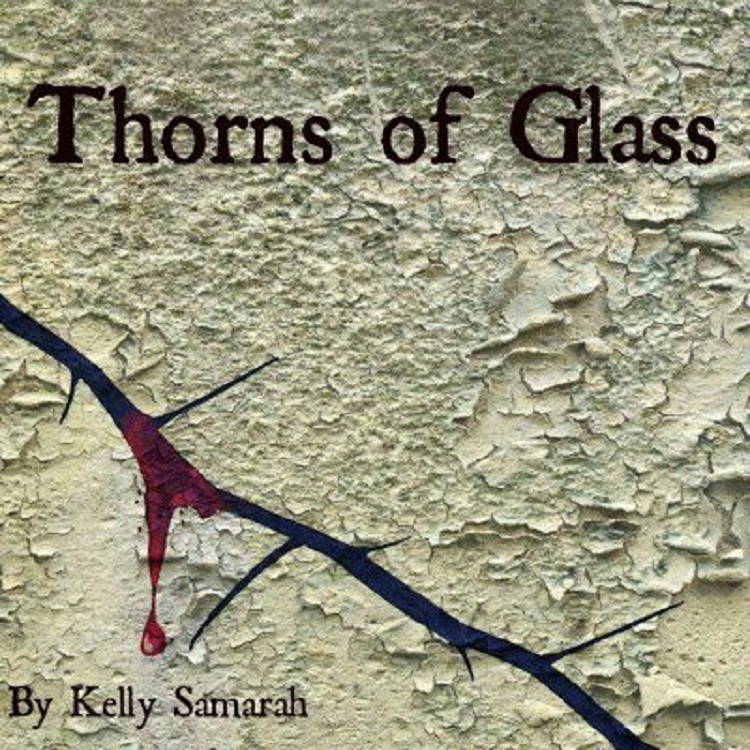 Both are on the horror side, although Thorns of Glass is a little more complex than that. It deals with domestic abuse, murder, child abuse…it’s a sad read more than scary. The Edge is a straight up psychological thriller. It will also be included in my anthology. Both are available on Amazon, B&N, and Smashwords. Right now I am getting ready to release a short story collection. It will be up on Amazon, B&N, and Smashwords on August 25th. 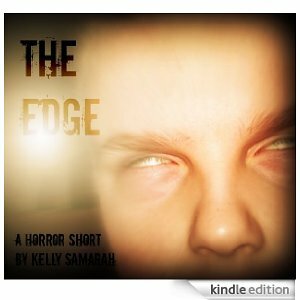 The stories are quick, scary reads, more psychological than anything else. I am also doing what I call Blog-A-Book Friday on my blog. Each week I am posting the roughest of the rough draft chapters to a YA fantasy novel I have been playing around with. It’s been a lot of fun, and I’m hoping at some point I take it seriously and it turns into a book. I LOVE to read. Anything, but I prefer horror, sci-fi, and fantasy. The only thing I will not indulge in is romance or erotica. Not my thing. Who are the authors who have inspired you? Stephen King, Anne Rice, Lois Lowry, Dean Koontz, Madeleine L’Engle, and lately, John Hart and Neal Shusterman. There are so may more, but let’s leave it here, at the risk of me going on and on. I have so many ideas I carry a small notebook around with me. I want to get a voice recorder, but the thought of listening to myself talk to me is unnerving. I would much rather write it down. I love to give people goose bumps. I blame the “what-if” conversations commonly held with my son and my brothers. The best story ideas come to me after one of those sessions. “Now, would you like to try out your new toy?” Benny nodded his head. He left the kitchen, holding the knife at his side. At the head of the hallway he stared at his mother’s door. He could hear her muffled, chainsaw snoring and the creak of her mattress springs as she rolled over in her sleep. He thought about the hard lines embedded in her thick, sweaty face and the way her eyebrows pulled together right before she threw out her fist. He squeezed the knife handle. He could be his own hero. “That’s right. Go on…” Chopping Tony urged him forward. He slowly turned her doorknob pushed the creaking door open. 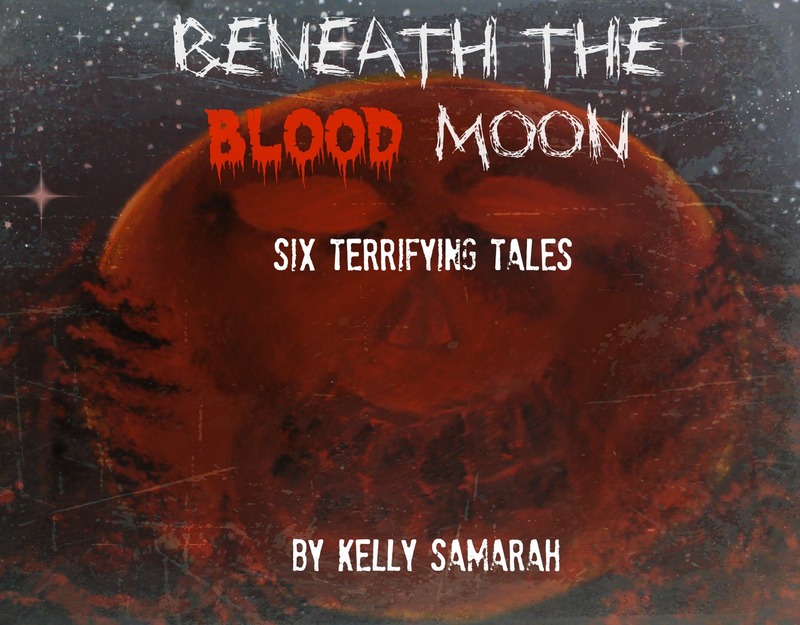 Kelly Samarah grew up in a small town located in the Willamette Valley of Oregon. When she isn’t busy working on a new story to share with her readers she enjoys cooking, music, painting and of course, reading. She also enjoys spending time with her dog, cat and two children. Please welcome Joe, a time travel expert making his stories beguiling. When you read his latest novel, Time’s Hostage, you will understand why I used today’s word – Bravado – definition: a display of reckless or pretended bravery. *Hint * character’s in the book! Of the characters you have created or envisioned, which is your favorite and why? I’d say my favorite character to date is the one I am currently creating. She is an alien from a planet that is completely uneducated about the world around them. She is strong and will go against the society if she feels that they are wrong, even if she knows it could turn her world upside down. Do you favor one type of genre or do you dabble in more than one? I enjoy writing paranormal/supernatural stories and a lot of my stories have a time travel element but I also play around with other genres. It depends on my mood and what inspires me. Have you got a favorite place to write? I don’t have a particular favorite place to write. Most often it’s just been in my office but now that I have a new laptop, I may discover a favorite place. Do you plan your stories or are you a seat of the pants type of writer? I daydream a lot and that’s where I work out a lot of the details in my stories. What inspires your stories? Different things will inspire my writing. I have been inspired by conversations, a piece of music, or a dream. Inspiration can come at me from just about anywhere. What are you currently reading? I don’t do a lot of reading. Currently, I am reading a Bathroom Reader. Do you have any odd habits or childhood stories? I’m not sure if I have what you would call odd habits and I have many different childhood stories; too many to include here. Do you have any pets? I have one cat named Bandit. Do you belong to a writers group? If so, which one? 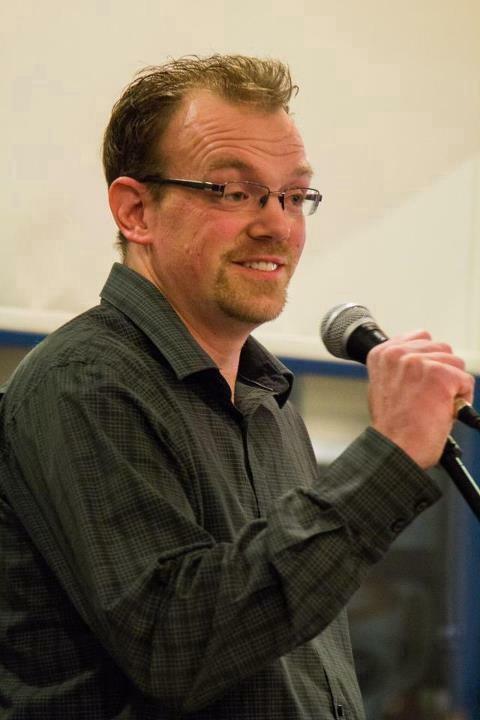 I belong to the Writers Foundation of Strathcona County. What age did you start writing stories/poems? I have enjoyed writing since an early age. Creative Writing was always my favorite subject in school. I began writing my first novel, Time’s Hostage, when I was in Junior High School. Do you have a book published? If so, what is it called and where can people buy it? 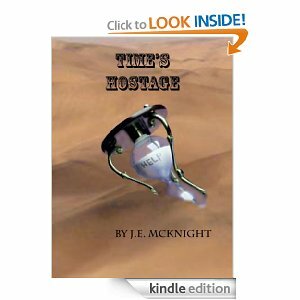 I do have one book published; it’s called Time’s Hostage and can be found and purchased on Smashwords.com and Amazon. If you could meet one favorite author, who would it be and why? I think I’d like to meet H.G. Wells. 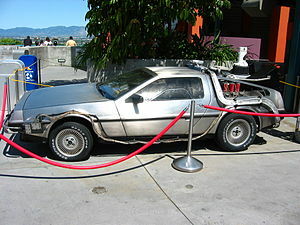 I have only read one of his books, The Time Machine, and though it’s not one of my favorites, he’s a writer from the distant past and deals with similar themes that I like to explore and I think it would be fun to meet and talk with him. If you could live anywhere, where would it be? I can’t say that I’d want to live anywhere other than the province that I live in now. I was born here and despite the cold winters, I like it here. Where can readers find you and your blog? I do not currently have a blog. Do you have plans/ideas for your next book? I always have ideas for upcoming projects. The ideas seem to come at me faster than I can write them out. Who is your best supporter/mentor/encourager? My mom and dad have always been great supporters of mine. They try to make it to my readings as much as they can.